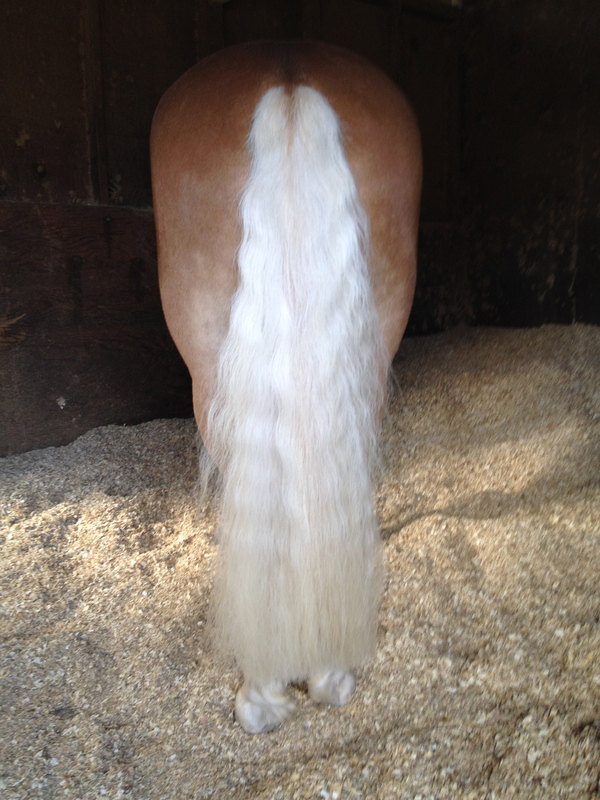 My haflinger’s tail draws sighs of admiration wherever she goes. How do you keep it so clean? How did you get it so long? So thick? Do you braid it to get those waves? It’s so silky and luxurious and gorgeous. Sigh. Ellie’s tail, with just a little Gleam on it. Hasn’t been washed in a couple of weeks, either. As you can see from the picture, it is just like the tail Barbie’s horse would have. Every girl, young and old, wants to play with it. 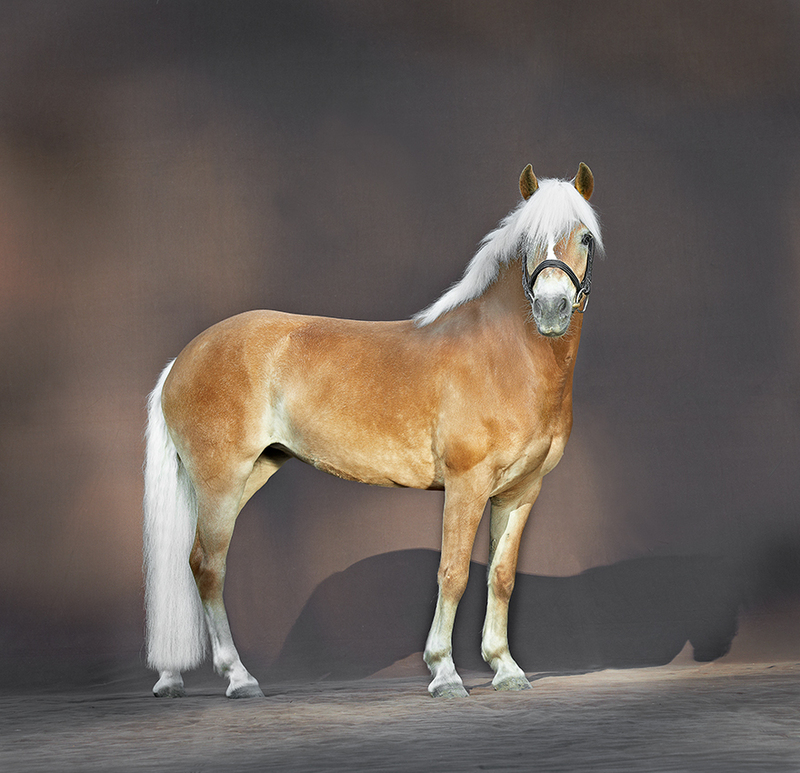 Ellie has good Haflinger genes and grows hair at an amazing rate. This is a good thing, because sometimes she rubs her tail and I only have to wait a few weeks and it looks great again. The bad thing is that her mane grows just as fast, necessitating continual pulling if I want to keep it at braiding length. How we suffer for our art. 1) the right shampoo. For white hair, I recommend Quiksilver shampoo (widely available, for example: http://www.doversaddlery.com/exhibitor-laboratories®-quic-silver-whitening-shampoo/p/X1-22105/). There are other good products, but this does a nice job of cleaning without over drying, and it whitens and brightens, too. Now I sound like a Tide commercial (“little Ellie’s tail got all splashed with arena mud, but Quiksilver whitened it right up!”) I can also use it to clean my black horse’s tail, so I don’t have to keep two kinds of shampoo. Yep, Quiksilver is not just for white horses. 3) Finally, remember to use your fingers to detangle, and only go to the brush after you’ve added the Gleam and things are pretty well detangled. We do not want to pull a lot of hair out with that brush! Hold the tail and brush gently below where you are holding it, so that hair is not pulled out. Preserve the tail! And the forelock. Voila: Hair down to there.